Received this question regarding dental handpiece torque from Samantha, a dental student. Thought it was worth sharing for others who may share the same confusion. 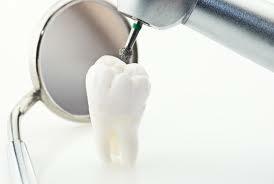 What is dental handpiece torque, and why is it important? Please help for a class I am currently taking. Hey Samantha, awesome question. The concept of torque can be confusing. We’ll try to answer without turning it into a physics lesson. As you continue with your dental career, you will certainly become intimate with the concept of dental handpiece torque, as it will greatly ad to your efficiency. Learning to harness dental handpiece torque and select dental handpieces which offer higher, more constant, torque can also reduce the dentist’s wrist and hand stress. Torque is a twisting force that tends to cause rotation. If you have ever seen a mechanic use a torque wrench, you would remember hearing a click. 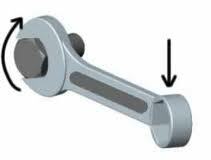 This click tells the mechanic when enough pressure has been applied to the wrenches handle to achieve the correct tightness of a bolt. Torque wrenches limit the amount of force you can use to tighten a screw or bolt. This prevents over torque, which can add stress and damage equipment. Torque wrenches typically use ft-lbs or in-lbs as their unit of measure. On the converse, dental handpiece torque, is a good thing. It’s a measure of how much rotational force the handpiece can place on the bur in order to cut those extremely hard teeth. In dental handpieces, torque is measured in Watts. Watt = kg * m2 (metric). 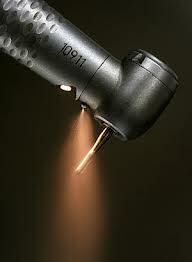 Speed is good, but Watts are king with dental handpieces. That’s why low speed electric handpieces are gaining in popularity. Lower speed, but higher torque. Don’t buy a dental handpiece without first knowing the value for dental handpiece torque (Watts). Thanks for the question, Samantha, and good luck with your dental career.